Mr. Leroy L. Byrd, age 65, transitioned from this life unexpectedly on Sunday afternoon, January 14, 2018 at his home. Leroy was born November 11, 1951 in Ethelsville, Alabama to the union of Levi and Mary Jane Byrd. He moved with his family to Muskegon, Michigan in 1955 and received his education in the Muskegon Public School District, graduating from Muskegon High in 1970. He was drafted into the US Army shortly after graduation and served in the Vietnam War receiving an honorable discharge. He then attended college in Grand Rapids, Michigan receiving his degree in Computer Technology. He was employed with Eagle Ottawa for twenty-five years and at Almond Industries for fifteen years. Leroy accepted Christ at an early age and attended Bethesda Baptist Church with his family. He had many "favorite" things that he enjoyed in life including gardening, which he loved to tend in his back yard, reading the newspaper daily, watching wrestling on television, working on antique cars, talking to his nieces and nephews and two of his friends, Deacon Doryce Dickerson and Brother Perry Cheathem. He loved to eat, especially his sister-in-law's Chicken and Dumplings while listening to operatic and classical music with her. His favorite song was "Ain't No Love Like My Baby's Love" by Eddie Floyd and his favorite color was blue. Although Leroy was quiet and a very private person he was loving and kind and very helpful to his sisters around their home. 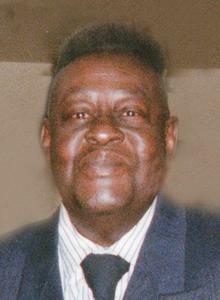 Leroy will surely be missed and leaves to cherish his memories one brother, Willie (Ruth) Byrd of Milwaukee WI; three sisters, Ann Franklin of Oakland CA, Mary A. Byrd and Cheryl D. Byrd; both of Muskegon MI, a god-sister, Carol Woodford of Kalamazoo MI; three nieces, Lanesa Franklin of Oakland CA, Yalonda Moore of Ethelsville AL and Miesha Garnett of Vallejo CA; three nephews, Chris Jones of Oakland CA, Lawrence McAdoo and Justin McAdoo, both of Muskegon MI; great-nieces, Dannisha Lacey of Oakland CA and Alayshia Young of Ethelsville AL; great-nephews, Davon Lacey and Fredrick Jones, both of Oakland CA; great-great-nephews, Rodney Carter of Ethelsville AL and Dyaire Thompson of Oakland CA; his life-time-friend, Harold Mitchell of Muskegon MI and a host of cousins and friends. He leaves this earth to join his parents; one sister, Phyllis Garnett; six aunts and five uncles. Monday, January 29, 2018, Noon with visitation one hour prior to the service at the Clock Chapel - Muskegon with Pastor Charles W. Poole officiating. Interment in Oakwood Cemetery.